The Centre for Development of Advanced Computing is an Autonomous Scientific Society of Department of Electronics and Information Technology, Ministry of Communications and Information Technology, Government of India. The National Centre for Software Technology, ER&DCI and CEDTI were merged into C-DAC in 2003. Applicants who have completed Degree/ Master Degree or equivalent from a recognized Institute for CDAC Recruitment 2019. 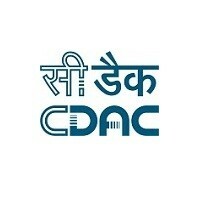 Eligible & Interested candidates can apply via online in Official website page at www.cdac.in CDAC Recruitment 2019. Take a print out of CDAC Recruitment 2019 online application form.